Part of the Studia Fennica Anthropologica series. The divine kingship and chiefship of the Asante people of central Ghana have been undergoing a shift towards secularization since the start of the colonial era. Timo Kallinen maintains that a close examination of this transformation provides us with a better understanding of secularization processes in Ghana more broadly, and in other post-colonial societies whose historical development likewise differs from that of the modern West, and which have largely confronted secular modernity through encounters with European colonialism. Throughout the volume secularization is understood as a process in modern society whereby divinity is separated from the ways in which both human society is regulated and physical nature is understood to function. 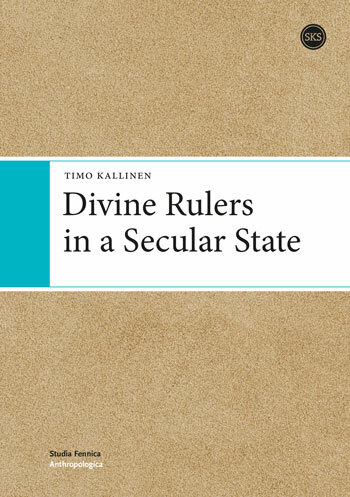 Divine Rulers in a Secular State has been divided into three thematic parts, each with a short theoretical introduction. In the first two, analysis is primarily inspired by the work of Louis Dumont, while in the third the theoretical ideas of Webb Keane and Bruno Latour are of central importance. The undifferentiated order of the pre-colonial Asante kingdom, in which the chiefly and priestly functions of the rulers were not separated, comprises the initial focus. Sacrifices and marriage exchanges, both of which were directed at establishing and perpetuating relations between the living and the spirits of the dead ancestors, are posited as the most important responsibilities of the chief. Also explored are perceptions that the founding of the kingdom and its authority structure are the results of sacrifices offered to various gods by the Asante king and his chiefs. The second part examines the dissolution of the traditional order since the onset of British colonial occupation. The secularization process was initiated by the aspirations of colonial administrators and missionary bodies who aimed to maintain Christian converts under the ‘political’ authority of their non-Christian chiefs, who were still important ritual leaders. Consequently, it was necessary to start dividing society along ‘political’ and ‘religious’ lines so that only the former was a mandatory concern for all. The kernel of modern citizenship was planted at the same time as the ‘religious’ conscience of individuals started to shape their rights and duties towards their ‘political’ rulers. Furthermore, theories about Asante as a state based on contract and representation were proposed and developed. In the post-colonial era chiefship has been put into the service of the independent nation state – both as an instrument of administration and a nationalistic symbol, while, most recently, chiefs have been depicted as leaders in civil society, even receiving support from global developmental organizations. Yet traditional chieftaincy is strongly criticized by certain Christian groups belonging to the Pentecostal-Charismatic movement, which still see it as integrally linked to traditional cosmologies. The third part of the book takes the discussion beyond the separation of the categories of religion and politics. Secularization has also has also entailed the dematerialization of religion, establishing it as something that ought to be understood primarily as mental or spiritual; in a secular society ‘things’ like deities, witchcraft, or sacrifices should not be recognized as proper agents and actions at the level of immanent relations. In Ghana such views are effectively contradicted by religious groups which see spiritual forces as the most powerful agents in social relations. The cases discussed deal with attempted state control of anti-witchcraft activities, the efficiency of protective magic during political upheavals, and Pentecostal notions of demonic influences in secular politics. The Conclusions section brings the themes of the book together by discussing the large-scale effects of the secular project in contemporary Ghanaian society. Research is based on anthropological fieldwork conducted in Ghana in 2000–2001 and 2005–2006, data drawn from several archival sources located in Ghana and the United Kingdom, and the anthropological and historical literature on Ghana and the Asante.